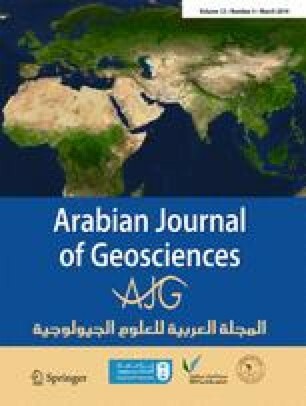 In this contribution, we describe a section through the Lower Cretaceous shallow-water platform sediments (Tirgan Formation) from the Kopet-Dagh basin (northern Tethys), which is located near Tirgan village, NE Iran. We used benthic foraminifera and planktonic organisms for biostratigraphy associated to the carbon isotope chemostratigraphy to constrain the age of the succession. Microfossils are grouped around the Feurtillia gracilis range zone (Upper Valanginian), the Campanellula capuensis range zone (Upper Hauterivian-Barremian), the Orbitolinid assemblage zone (Lower to Upper Aptian) and the Planktonic assemblage zone (Upper Aptian) as well as several genera and species are reported from the Kopet-Dagh for the first time (e.g., C. capuensis, Colomiella sp., Cuneolina composaurii, F. gracilis). The new biostratigraphic data allow us to date the lower part of the section as Berriasian (? ), Valanginian, and Hauterivian, which is older than the age range previously assumed for the Tirgan Fm. (Barremian-Aptian). Our age determinations are consistent with those obtained by the carbonate carbon isotope chemostratigraphy and the resulting age model allows to assign a Berriasian (? )-Valanginian to Albian age to the Tirgan Fm. Furthermore, a prominent positive excursion near the base of the section can be correlated with the Weissert Episode, and likely also the Faraoni Episode is registered in this succession. The Tirgan Fm. displays an explicit onlap pattern to the west, which explains the diachrony in ages of the base of the formation. This suggests the effect of a long-term subsidence in the Kopet-Dagh during the Early Cretaceous, following the Cimmerian phase of orogenesis. This research was studied and written during a period of sabbatical. We appreciate the financial support of the Lausanne University and Association Dolomieu in Grenoble for hosting, studying and processing on the samples, and the Ferdowsi University of Mashhad for supplying field equipment and preparing some of the thin sections (Grant Number: 3/39088). We gratefully acknowledge Dr. Heinz Sulser for the determination of the brachiopods. The first author would like to thank Mehdi Hamdollahi and Roohollah Nikokalam, who assisted her during fieldworks, and the Ministry of Science in Iran where financed her stay at Lausanne. Furthermore, the constructive comments of an anonymous reviewer improved the quality of the paper significantly.